Terry Dennett, who passed away recently, would have turned 80 on 4 February. There will be a service at the Islington Crematorium, 278 High Road, East Finchley, at 11 a.m. on Wednesday 7 February. We first met at TPW - Toronto Photographer's Workshop, at a comprehensive Jo Spence retrospective in 1997, where Terry was speaking about the legacy of her work and their collaborations. Over the next 20 years, Terry became a mentor and dear friend, always sharing his wide ranging photographic knowledge generously. Training originally as a painter, for decades Terry worked as staff photographer at the London Zoo, where he had a colour and black & white darkroom and a 9 to 5 job. 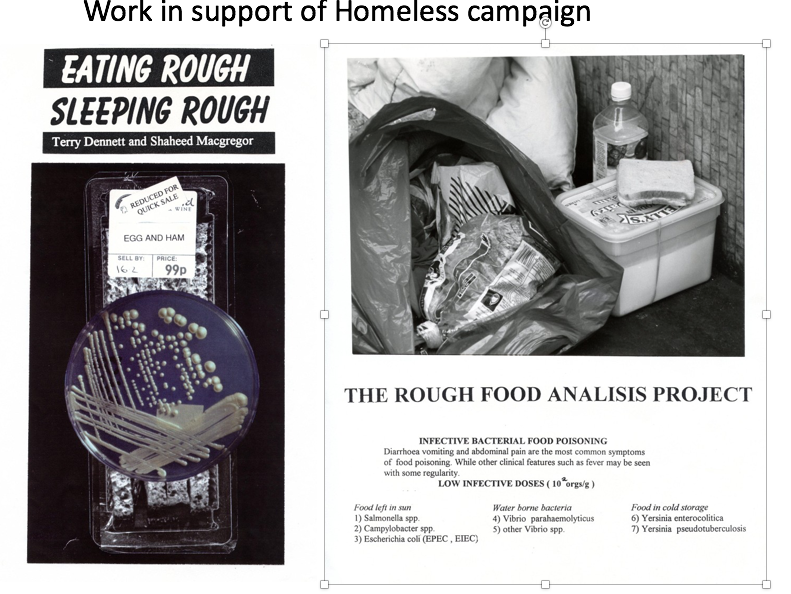 He also had, what he referred to as his second 5 to 9 job, and would regularly collaborate on projects with researchers, including Shaheed Macgregor, on Eating Rough, Sleeping Rough, a pop-up exhibition made in support of a campaign to address homelessness and raise awareness in the 1990s. Terry was also the dedicated and tireless founder/keeper of the Jo Spence Memorial Archive which he ran for 25 years, ensuring Jo Spence' lasting legacy. 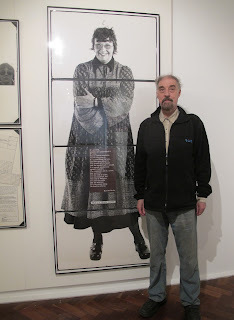 Terry eventually oversaw the safe deposit of her research material, at the Toronto's Ryerson School of Image Arts Archive research centre, at London's Birkbeck institute, and also with Richard Saltoun Gallery. 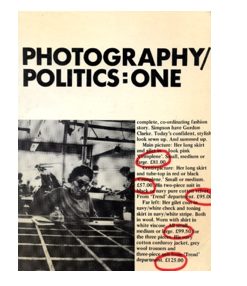 Together with Jo Spence, Terry collaborated on many projects from the early 1970s onwards, including The Crisis Project, and they edited the collections Photography/Politics 1 & 2, which produced groundbreaking, political commentary on photographic practices. 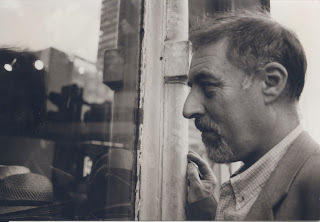 He also assisted on many of Jo Spence's projects. Together with Jo Spence, Terry founded the Photography Workshop Ltd in 1974, a grassroots organisation tasked, in Terry's words, 'with researching marginalised or hidden histories and traditions of social radicalism'. 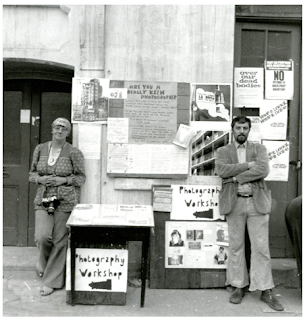 The Half Moon Gallery later merged with Terry & Jo's Photography Workshop, eventually creating Camerawork Gallery. Terry also supported the international Phototherapy community by making the archive accessible, presenting at conferences, giving talks to students (including at the University of Brighton, University of Roehampton, and in Finland on several occasions) and offering tutorials and access to archival resources freely. It would have been wonderful to celebrate his 80th birthday together this weekend. Instead, those of you who knew Terry might wish to consider attending the service next Wednesday, or keep his memory alive in your hearts. Much travelled and internationally published photographer Marilyn Stafford grew up during the 1930s in Cleveland, Ohio USA. In December 1948, Marilyn moved to Paris via New York, and in 1951 briefly sang with a small music ensemble at Chez Carrère near the Champs Elysées. At the club she met Edith Piaf and also became friends with Robert Capa and Henri Cartier-Bresson, who both encouraged her work as a photographer. Between 1949 and the mid 1950s, Marilyn made photographs in several different Parisian neighbourhoods. 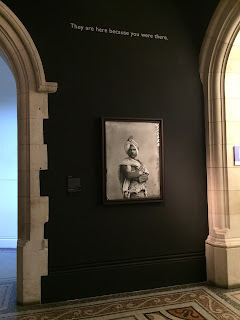 Her compelling images of children from Cité Lesage-Bullourde near the Place de la Bastille, provide rare insights into the daily lives of children in one of Paris’ poorest districts. Marilyn’s photographs of the children who made these streets their playground, document a community whose lives and experiences had been completely underrepresented. Her ability to engage with them provides for posterity captivating visual traces of a vanished neighbourhood, long dispersed when the area was eventually demolished and gentrified. The exhibition also features photographs taken in Boulogne-Billancourt and Marilyn’s pioneering fashion work, which for the first time took models out of the studio and onto the streets, applying a social documentary approach to the fashion shoot. The few surviving contact sheets, negatives and prints from Marilyn’s archive of this period have been digitized and painstakingly repaired by Julia Winckler, University of Brighton, who is curator of the exhibit. This process allowed for the images to be enlarged revealing new detail. The archival material also has a life of its own, revealing Marilyn’s working practices, her photographic eye, and the editorial choices she made by cropping and cutting, making marks with crayons and stapling contact sheets and individual images together. They have the patina of time embedded within them and contain multiple stories as we encounter and hold the gaze of the children Marilyn photographed. Accompanied by a film made by Ian Hockaday – shown as part of the exhibit. Exhibition curated by Julia Winckler (with the support of SSHRG Canada From Streets to Playgrounds) and with an exhibition brochure with texts by Prof. Adrienne Chambon (University of Toronto) and Julia Winckler. Exhibition take place in conjunction with a co-curated exhibition (with colleagues Adrienne Chambon, Ernie Lightman, Bethany Good (University of Toronto) and Vid Ingelevics and Mary Anderson (Ryerson) at the City of Toronto Archives gallery that focuses on historical representations of children in Toronto’s Ward area and relaunches on 20 March. 'One reality leads to another with the assurance that both exist instantaneously and in the same place' - Roland Penrose, commenting, in 1938 on the landscapes of Paul Nash - currently @ TATE BRITAIN. 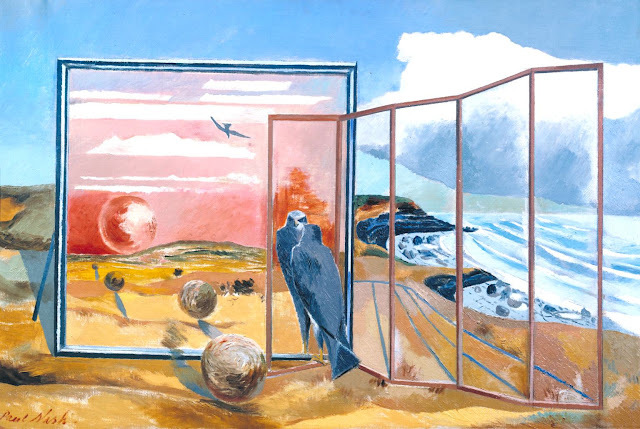 Large comprehensive retrospective of Paul Nash's work - rich use of symbolism, metaphor and planes of vision. Dreaming trees and Aerial Creatures particularly moving. Devastating group exhibition showing damage caused to planet - era of the anthropocene - with Richard Misrach, Chris Jordan, Ed Burtynsky and many more. 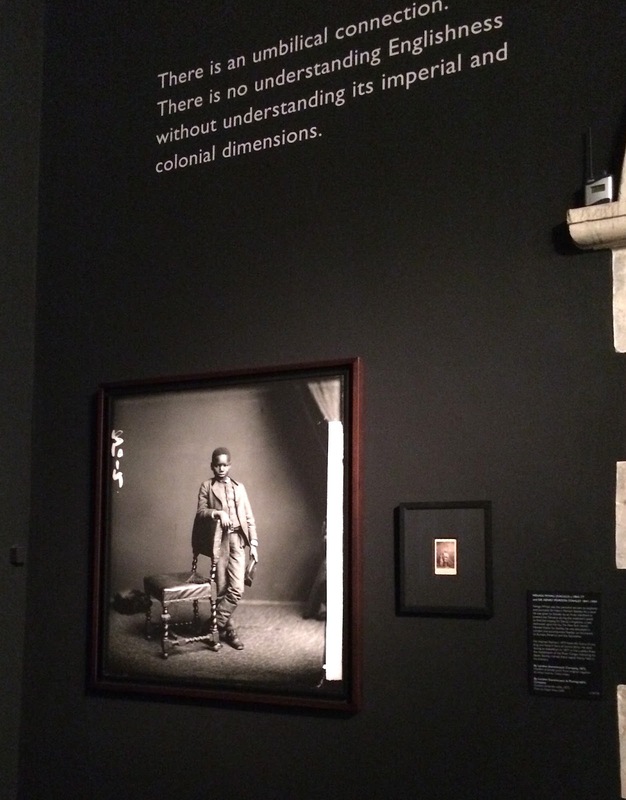 Autograph exhibition of more than forty photographs in three gallery spaces at the National Portrait Gallery. 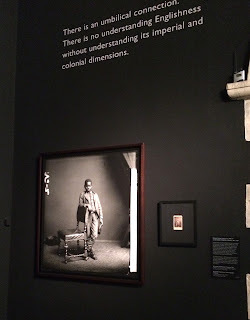 Astonishing quality and presence - important exhibition - beautifully presented. Photographs taken in 1891 - but look contemporary - the sitters are present.